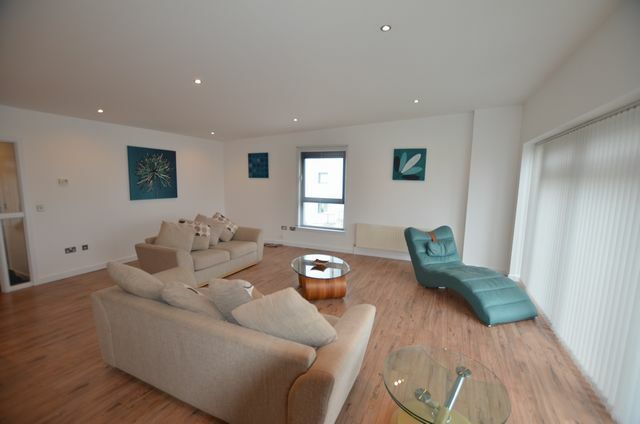 Top Floor Luxury flat on the 9th floor with stunning views over the city, comprising of large living, dining and kitchen area, 2 double bedrooms, large family bathroom, en suite bathroom and utility room. GCH. Private allocated parking. Decor and furnishings to highest standard.